Updated flooring and paint throughout! New roof/New gutters. Windows only 2 years old. 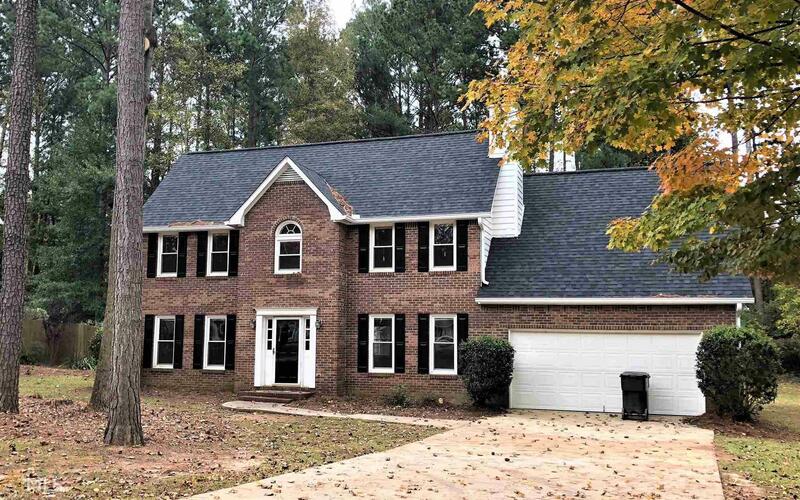 Traditional family home in sought-after Rockspray subdivision in beautiful Peachtree City. Huge kitchen with newer cabinets and tile. Separate dining room and great room with updated handscraped hardwood. Large master on the main with a large tiled ensuite, tiled shower, and newer vanities. Upstairs has 3 very spacious bedrooms which include a huge Bonus Room. Walk, bike, or ride your cart to schools, shopping, dining and recreation. Owners in Rockspray have the use of the Log Cabin for social events. Directions: Head South On Joel Cowan Pkwy (Hwy 74), Turn Left Onto Crosstown Drive, Right Onto Log House Rd, Right Onto Rockspray Ridge, Left Onto Grapevine Curve. House Is On The Left.